Bicknell Racing Products got its start when Pete Bicknell was in High School building his first racecar as a shop project. More than 40 years later, the St. Catharines, Ontario Chassis manufacturer has developed into the industry leader with state of the art equipment and facilities. Pete and his wife Nancy along with partners Randy & Tracey Williamson built BRP from humble beginnings to the current location that boasts 20,000 square feet of manufacturing and retail space. Combine that with a larger Niagara Falls (NY) Retail and Warehouse location – BRP supplies Southern Ontario/Western New York customers in addition to an always growing dealer network. Bicknell Racing Products is also a Hoosier Tire Distributor covering all of Eastern Canada and a large portion of New York State and some areas of Pennsylvania. Since 2002 – Team BRP drivers have combined for more than 600 total wins each season in Big Block, 358 and Sportsman competition across Canada, the United States and Australia. In 2007 Bob Slack became a partner in the company assuming operation of the Machine Shop Division of BRP. With the latest in CNC Machinery, Slack has produced many new products and redesigned existing components. While BRP’s main focus is in the manufacturing of racing parts and chassis items, it doesn’t stop there. “Our CNC Mills and Lathes, fully equipped welding shop and CNC bending capabilities allow BRP to meet the needs of most any customer - we specialize in “rush” type work for all customers from the smallest local wine producers to some of the biggest construction projects in the universe. It’s not uncommon to stop what we are doing and put 3 guys and 3 machines on a panic job for someone who is suffering from a broken part causing them costly downtime,” informed Slack. Race teams can also look for BRP at several trade shows including the NorthEast Trade Show in Syracuse NY, IMIS in Indianapolis IN, Motorsports Race Car Trade Show in Philadelphia Pa, and Motorama in Toronto Ontario. BRP also hosts an Annual Open House each January featuring free seminars presented by leading racing industry suppliers and manufacturers’ as well as in depth analysis from other BRP customers. Bicknell Racing Products recently opened a new chapter with the addition of Canadian Stock Car Products (CSC). The company previously based in Markham Ontario was purchased from Ralph and Jen DeWinter in 2017 and moved operations to the St.Catharines Factory. CSC is a leading manufacturer of roll bar kits for various applications of racing including Chump, 1/4 mile, Oval and Road Course. Bicknell's builds, manufactures and ships hundreds of various types roll bar kits across Canada and the United States. 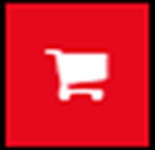 With the addition of CSC came the extensive safety inventory the retail stores now carry including Hans devices and Bell Helmets. 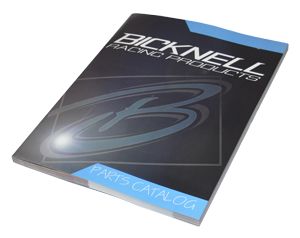 For further information on Bicknell Racing Products or to find a dealer near you, call Canadian Sales at 905-685-7223, Manufacturing/Machine Shop at 905-685-4291 or US Sales at 716-285-7502. Visit BRP on line at www.bicknellracingproducts.com, on Facebook or live at twitter.com/bicknellracing.